These Apple Chips are the best chips on the market. While filtering these chips removing all the dust, we have also kicked the larger chips to the side making for a more uniform and even burning chip. 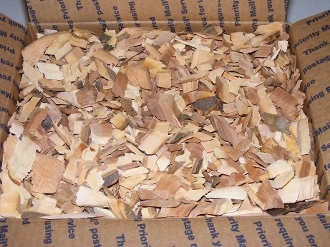 We recommend soaking our Wood Chips in water for 30 to 45 minutes prior to use. After soaking drain the water off, before laying on your charcoal/wood chunks and or chip box for the perfect smoke.